Government watchdogs and lawmakers have long been concerned about Utah's low levels of voter participation. During the 2014 midterm elections, a mere 28.8 percent of Utah's eligible voters cast ballots—the third lowest turnout in the country. In 2011, that figure was only 23 percent. The trend toward meager participation saw an abrupt turnaround in Salt Lake City this year, with the turnout rate in Salt Lake City shooting up to 46.8 percent. 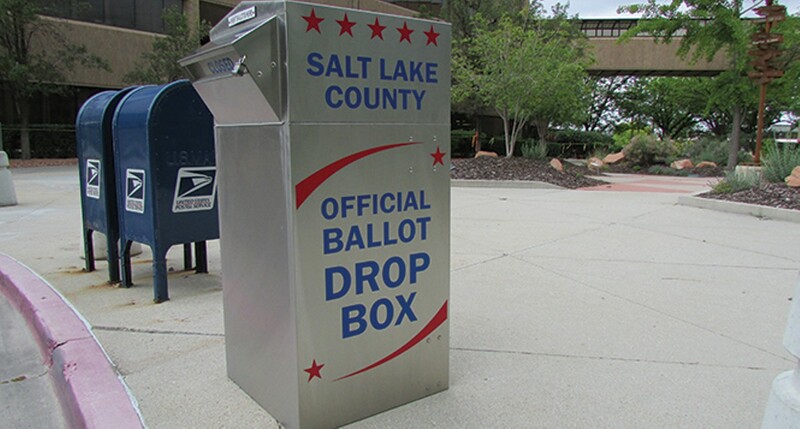 The sudden jump in voter interest and participation was caused by a variety of contributing factors: first, it was Salt Lake City's competitive mayoral race between Jackie Biskupski and Ralph Becker, and second, that the election was handled almost entirely by vote-by-mail. Election experts say the vote-by-mail process—sending a ballot to voters' households to be filled out and dropped in the mailbox—probably played the biggest role. Lt. Gov. Spencer Cox, who oversees all elections in the state, says he would favorably compare the 2015 elections to those of previous years. But there's still a long way to go: "When it comes to vote-by-mail, we're constantly monitoring, learning, researching and gathering data until the final numbers come in," says Cox. "One of the things we really like, obviously, is the increase in voter turnout. We saw between 35- and 40-percent turnout in most municipalities that did vote-by-mail, which is double what we're seeing in non-vote-by-mail municipalities." But Cox says there are still some tweaks that need to be made to the system. "There are some things we've known [we've needed to fix] for a while," says Cox, "that we're working with legislators to fix soon." One such fix, Cox says, is lag time between election night and the official canvass of the vote weeks later. In Salt Lake City, that lag has kept voters waiting to see if Biskupski really did beat Becker, or if somehow the votes that came in toward the end of the election period will swing enough in Becker's favor to turn the tide. "I think in today's world, with the technology we have available," says Cox, "we should be able to disseminate information faster. But when you do vote-by-mail, you're going to have many more uncounted ballots on election night." Cox says he's hopeful he can work with lawmakers to find a solution that won't leave candidates hanging, wondering if they won or not. Vote-by-mail systems won't fix everything, and Cox still worries about Utah lagging behind the national average. What are other states doing differently? "Well, [having] competitive races, I think, is probably one of the reasons. Part of me likes to believe that [Utah state and municipal governments] are just doing such a good job that everybody is just really happy with how things are going. But I'm not that naïve to actually believe that." General competitive races are a rarity in Utah. In the 2014 election, 15 different House and Senate incumbents lacked opponents. And because of the way in which voting districts have been drawn—calculated to group party members in strategic ways—incumbents usually have more to fear from challenges within their own party than they are with competition from the opposing party. This leaves few surprises on election night. Cox says he thinks that lack of competitiveness leads to real apathy among voters, especially younger voters. "I talk to Millennials a lot," says Cox, "and they really feel like their vote doesn't matter, or it's not going to make a difference, so why bother?" Cox also says there are other tangible things Utah could do to increase turnout, such as allowing same-day registration—where unregistered voters can show up to the polls on Election Day, register and cast a ballot. "I was ready to do that when I was in the Legislature," before being tapped for the lieutenant governor position, says Cox, "so it's something I believe in." Several proposals to create a same-day registration system in Utah have failed to pass, although lawmakers did approve a pilot program in 2014, authored by Rep. Rebecca Chavez-Houck, D-Salt Lake City, and Sen. Deidre Henderson, R-Spanish Fork. Activists in many states have been pushing to adopt digital voting methods, arguing that if you can manage your finances, register at the DMV, and have a video chat with someone in India via a smartphone, you should be able to vote online. "That's something I really hope we'll be able to do someday," says Cox. But he doesn't think it will be any time soon, mostly because of security concerns. "You don't need someone to hack an election; you only would need someone to claim they hacked an election," he says. According to Cox, there would be no way to prove a hacker didn't actually get into the system without an investigation, but because of strict secret-ballot election laws, it would be illegal for the state to examine votes.